The picture above shows my grandmother Élise Marie Dorpsmans at about 70 years of age. We always called her by her nickname "Mémée." She was born in Paris, France on April 30, 1879, the daughter of Julienne Constance Celeste Dorpsmans. Julienne was not married at the time she gave birth to Élise Marie. We do not know the what circumstances led to her pregnancy. Julienne worked as a day laborer in Paris -- probably a maid -- at the time her daughter Élise Marie was born. Perhaps Julienne was forced by an employer. This would not be an unsurprising circumstance for a poor young single woman from the countryside who had no family with her in Paris. On the other hand, both her mother and grandmother had also given birth to a child before marriage. Julienne may have been ill for several months afterwards since she did not sign an act of recognition for her daughter until the following July. Possibly she was simply too ill to do so at the time of my grandmother's birth. Possibly Julienne intended to give up my grandmother for adoption but later thought better of it. Perhaps her mother Louise-Aurore Bisson insisted she recognize Élise Marie. In any case Élise Marie later lived with her grandmother Louise who actually reared her. Julienne probably lived at the public assistance hospital from the time of her daughter's birth to the time Julienne signed the act of recognition. Julienne Dorpsmans did eventually marry a man named Albert Pierre Auguste Peutat, in 1882. We know little about him except that he was a bookbinder. Albert did not want to adopt Élise Marie. Probably he was not her birth father. After their marriage Julienne and Albert had two children, twin girls named Clemence and Adele, both born May 24, 1884. Albert also had had one other daughter, Lucie Albertine Peutat, who was born shortly before the marriage. Albert reconized her as his daughter, but Julienne did not, so she was probably not Lucie's birth mother. Élise Marie was sent to Senonches to live with her grandmother Louise-Aurore Bisson. Louise was born in Senonches and lived there most if not all of her life. Louise-Aurore was buried in Senonches, but her grave is now gone, apparently replaced by newer graves. We do not know where Louise-Aurore died; there is no death record for her in Senonches. Louise lived on an army pension she received because her husband disappeared after leaving for military service, possibly in the Franco-Prussian War (although he would have rather old in 1870 to join the army). Jules was declared dead in 1882, shortly before Julienne's wedding. Louise-Aurore ensured that her granddaughter Élise Marie received excellent schooling in nearby Chartres. Julienne died in 1892 before Élise Marie married Clément-Clotaire Lequien in 1896. Albert Peutat does not appear to have attended the wedding. We do not know whether or not he was still living at this time. We do know that he had not wanted to adopt Élise Marie. Louise Aurore Bisson apparently provided only for Élise Marie in her will, leaving nothing to Julienne's other children with Peutat, since he had not wanted to adopt Élise Marie. Clément-Clotaire Lequien hailed originally from Willeman in the Pas-de-Calais district. He was the son of Clémentin-Clotaire Lequien and Ludivine St. Jean. The elder Clément attended his son's wedding. Clément-Clotaire Jr. had at least one sister named Fidéline Maria Lequien. She was crippled and needed crutches to walk. Élise Marie derisively called her "béquilles" (crutches). Fidéline was born December 2, 1874 in Willeman. She was married to Louis François Rault, but was widowed well before World War II, perhaps as early as the first World War. Fidéline died in Willeman on January 9, 1960. My oldest sister remembers my grandmother claiming that Clément-Clotaire's family had been French nobility but lost everything at the time of the French Revolution. This is certainly wrong as the Lequiens in Willeman appear to have been just ordinary rural folks as far back as the early eighteenth century. 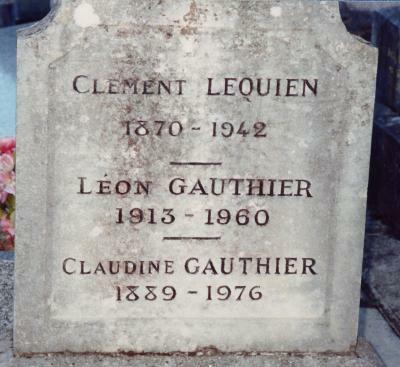 I have not located any evidence that the Lequien family was of the nobility, although there are some old heraldic titles for similar names like Le Quen and Le Quien in Brittany. Clément-Clotaire met Élise Marie while both were traveling on the same train. They exchanged letters and decided to marry. While Élise Marie's priest supported the marriage, Louise-Aurore Bisson did not approve of Clément-Clotaire. Part of the reason may have been that Louise hoped Élise Marie would marry someone well-to-do who could take care of Louise in her old age. Clément-Clotaire was poor and remained so the rest of his life. My grandmother had also been very well educated at Chartres, while Clément-Clotaire was barely literate. Louise did not trust Clément-Clotaire to be a good husband for her granddaughter. Given Clément-Clotaire's later abandonment of his wife and children, Louise may have judged him correctly. Clément-Clotaire Lequien and Élise Marie Dorpsmans were married in Senonches on Saturday, May 2, 1896. The marriage record offers more information about their backgrounds and the witnesses who attended the wedding. Clément-Clotaire worked in several places as a caretaker and gamekeeper. He was in charge of running off poachers and caring for the hunting dogs. His best position was as a forest ranger on a big estate near the tiny rural village of La Boulaye, located a few kilometers outside the large town of Autun. My grandmother was very unhappy since she and Clément-Clotaire were required to live in a relatively primitive hunting lodge with a dirt floor. They had no neighbors for miles around except for the family of their landlord who never talked to my grandmother. Her only outside contacts came from the traveling salesmen who stopped by about once a month to sell cloth and other materials, and from farmers or day laborers who lived in the town or elsewhere on the estate. Élise Marie intensely disliked having to feed and clean up after the dogs. Things were particularly difficult for my grandmother when both her husband and oldest son Henri were called to serve in the First World War. She was left alone for four years with no news of her husband's or son's fate. During this time, in 1915, her younger son Paul died at home, after falling ill at his school. This was a serious blow from which my grandmother never recovered. When Clément-Clotaire returned from the War, the first things he asked for were a bowl of soup and a foot bath. As my grandmother recounted, he was curiously unmoved at the news of his son Paul's death. When Henri returned, injured but alive, my grandmother never forgave him for surviving while Paul died. 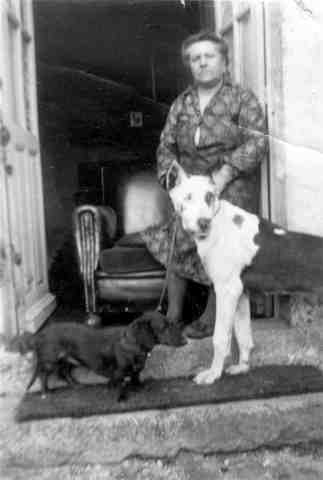 My grandmother and Henri never got along well afterwards. My grandparents grew most of their own vegetables. Clément-Clotaire hunted for meat. A milk cow provided dairy products. 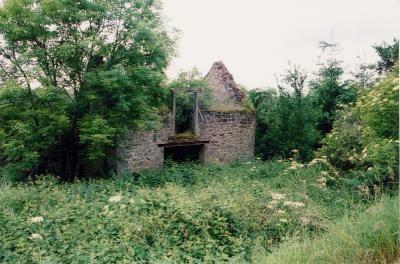 Ruins of a home in the woods near La Boulaye, France. Probably very similar to the home in which my grandparents lived. Henri Lequien was born November 10, 1897. He married Catherine Berthin. 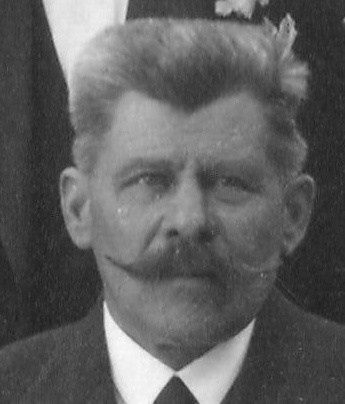 Henri died in 1958. Catherine died in 1990. Paul Lequien was born in 1899 and died in 1915, probably of encephalitis or meningitis, never having married. He was studying to be a teacher Paul died just a few days before receiving his diploma. My mother Paulette Henriette Lequien was born May 12, 1918 in La Boulaye, France. She married my father Robert Francis Burns on June 19, 1946 in Paris, France. My mother died in 1995. My grandmother Élise Marie never recovered from her son Paul's death. She remained depressed for the rest of her life. Unable to face the truth that Paul had died in her care, she made up the story he had died in the infirmary at his school. Only many years after she died did we learn this was not true. Despite her age and ill health, Élise Marie wanted to have another child to replace Paul. This is why my mother was born. Her given name Paulette Henriette honors her two older brothers. After my mother was born, Élise Marie's health deteriorated further. My grandfather Clément-Clotaire hired a nurse, Claudine Gauthier, to take care of her and my mother. Claudine was a widow with at least one son, Léon, who was born in 1913. We believe Claudine's husband died in the first world war. When my mother was six Clément-Clotaire took her and Élise Marie to live with his relatives in Willeman. Clément-Clotaire then took off to live with Claudine. They eventually settled in Montigny-sur-Loing, a small town not far from Fontainbleau. Clément-Clotaire and Claudine never married but they produced a daughter named Gilberte. My mother met Gilberte only twice, once at her father's death in 1942 and again later around 1948 when she visited his grave prior to leaving for the United States for good. I do not know if Gilberte is still living. Her older half-brother Léon died in Paris in 1960. Clément-Clotaire and Élise Marie received a divorce on October 16, 1931. Clément-Clotaire Lequien worked as a gardener during the years he lived in Montigny-sur-Loing. Clément-Clotaire died February 18, 1942 in Montigny-sur-Loing. He is buried there along with Claudine and Léon. Claudine, who was nineteen years younger than Clément, outlived him by many years. She died in 1976. Clément Lequien's grave in Montigny-sur-Loing. Closeup of Clément Lequien's grave in Montigny-sur-Loing. Paul Lequien who drowned at the age of 21. Robert Lequien who died in an auto accident in 1972. Robert and his wife Jeanine had three children. Henri Lequien died January 16, 1958 at his home near Toulon sur Arroux. 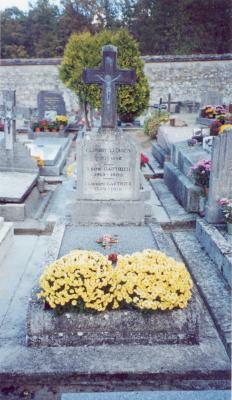 He is buried in Toulon sur Arroux with his son Paul. I met Catherine Berthin Lequien at her home in Tavernay, France in 1978 when I traveled there with my parents. That was the first time in over thirty years that my mother and her sister-in-law Catherine had seen each other. Catherine passed away in 1990. Shortly before the second world war broke out, my grandmother returned to using her maiden name, Dorpsmans, but she dropped the middle "s" so that it would look less Jewish (or so she claimed). She had already started doing this as early as her marriage; she signed her name "Dorpmans" on the marriage record. Dorpmans is a Dutch name that is not typically Jewish. Recently we were able to verify that the original name was indeed Dorpmans without the middle "s", and that my grandmother's great-grandfather Léonard Dorpmans was born in Rotterdam, Holland. His son Jules Dorpmans, my grandmother's grandfather, always signed his name "Dorpmans", but for some reason it is always spelled "Dorpsmans" in the official records. During the early years of the war, my mother Paulette always sent her father Clément-Clotaire some of her ration coupons, secretly so as not to upset her mother. My mother attended his funeral in 1942 but my grandmother did not. My mother returned from the funeral carrying an old coat which belong to her father. My grandmother recognized it and broke into tears. After her divorce, Élise Marie worked as a concierge and cook in Paris. She continued in these occupations until she moved to the United States to live with my parents in 1950. My father was with the American army of liberation. He stayed on in Paris after the war to study art. He met my mother Paulette and they were married on June 19, 1946 at Sainte Marie-des-Batignoles in Paris. They moved back to Chicago where my father's family lived, bringing Élise Marie with them. 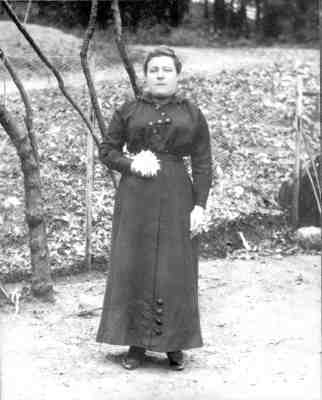 Élise Marie never liked living in the United States and tried for several years to find a way to return to France to live. She was unsuccessful. Élise Marie Dorpsmans died in Chicago, Illinois, USA in 1961. Élise Marie Dorpsmans at age 30, in 1909 or 1910. 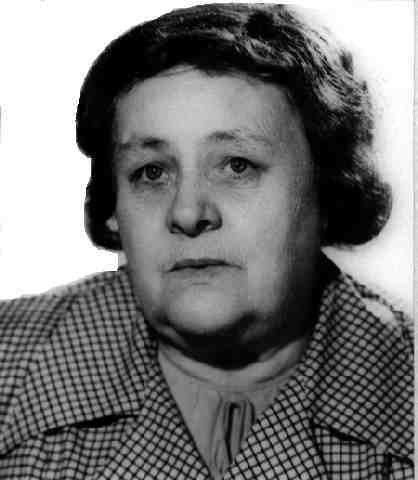 Élise Marie Dorpsmans in 1933. With two of the dogs she disliked. Photo of Clément-Clotaire Lequien courtesy Jean Claude Boet. Last modified by pib on July 20, 2013.